Jaguar Land Rover is set to present the Company of the Year award at this year’s Birmingham Post Business Awards. The huge Midland-based automotive manufacturer, built around two of the world’s leading brands, is proud to honour the stand-out business with a proven track record of success which plays a significant role in the region’s business community. Judges are currently busy selecting this year’s winners of 14 categories in total, which will be revealed at our black time ceremony at the ICC on Thursday November 1. 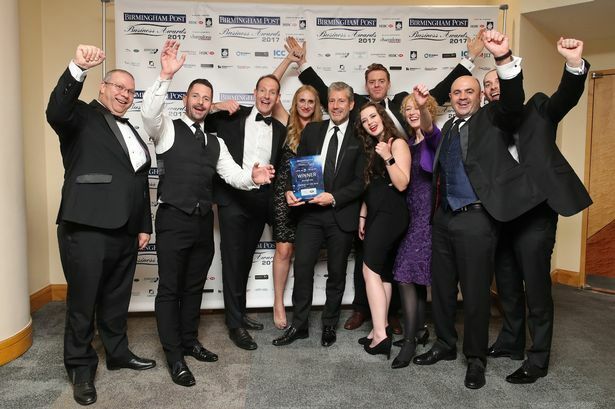 Dave Owen, Operations Director at Solihull’s Jaguar Land Rover operation, said: “Awards such as the Birmingham Post Business Awards are a great opportunity for all of us to celebrate success and share best practice that in turn help support our local economy and community. “We chose to support the Company of the Year award to celebrate the wealth of talent, innovation and creativity across the region. While the awards’ prime objective is to applaud the achievements of those shortlisted, it also puts the spotlight on the supporting businesses, like Jaguar Land Rover, and demonstrates their input on the business community. And, Jaguar Land Rover certainly plays a role as a key contributor to the Midland business community – and indeed the whole of the UK. They are the largest investor in research and development in Britain’s manufacturing sector and have invested £15 billion over the last five years. JLR employs 43,000 people globally and support around 240,000 more through our dealerships, suppliers and local businesses. Dave said: “We strive to be a responsible member of the communities that we are part of, and we regularly review our operations and how they may affect others. “We proactively work in partnership with local residents, businesses and stakeholders to listen, respond and support. “Members of the local council and representatives of residents’ groups join us to review our plans and tell us about their ideas and concerns. “We invest in charitable organisations and partners as well as community programmes including school STEM education. Our employees volunteer time to support these initiatives. The nominations for this year’s awards are closed.